Dekart IDIS-215 is a 22 inches universal digital multimedia Commercial Display display. The device is specifically designed for displaying advertising information, schedules of events, restaurant and café menu LCD board. This model provides the ability to mount your digital display on a vertical surface in both landscape (vertical) and portrait (horizontal) position. Bright slides, videos, or scrolling text over advertising images on the display will attract the attention of passers-by. It is very effective to use IDIS in places with large crowds, for example, in retail outlets, exhibition, gyms, various competitions and conferences. 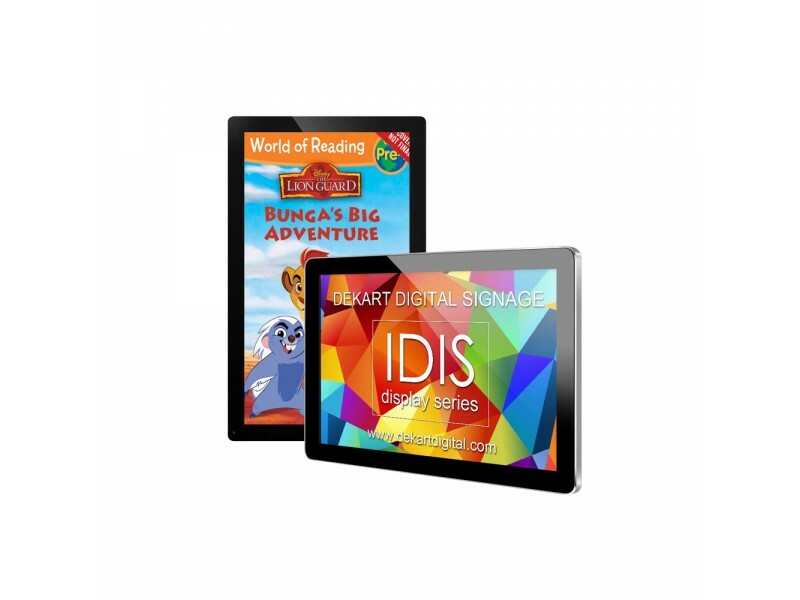 IDIS-215 Digital signage display is ready for a productive work, fast loading and playback of information. In addition to standard advertising player which read media files from USB flash drive, IDIS can be equipped with network advertising media player that will connect to Wi-Fi networks, 3G/4G, as well as to local area networks. Using a patch cord cable, this advertising can autonomously monitor to connect to an Ethernet LAN or the Internet. Digital signage display screen size is big enough for installation as an Commercial Display in the elevator, as a promotional display on the side of the fridge with drinks, and as a monitor with built-in ad player in the transport or in the corridors of business centers and hotels. 22 inch screen size allows you to quickly and purposefully convey a vivid and memorable information in high quality on small distances. 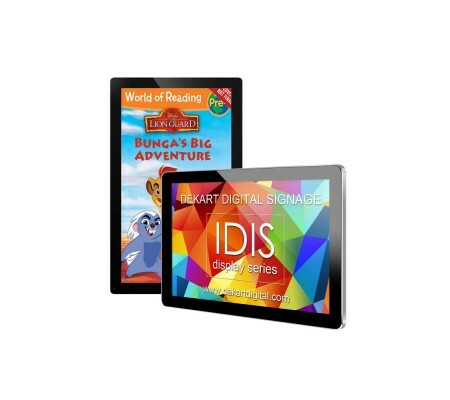 Stylish design and durable materials of the IDIS-215 advertising display makes it a popular model for installation as a monitor in buses, trolleybuses, trams, as well as TV's in cars, trains, subways, and compartments in the trains. We produce Commercial Displays with screens from 10 to 90 inches, call or email us now to know the price and delivery time.